“To share is precious, pure and fair. 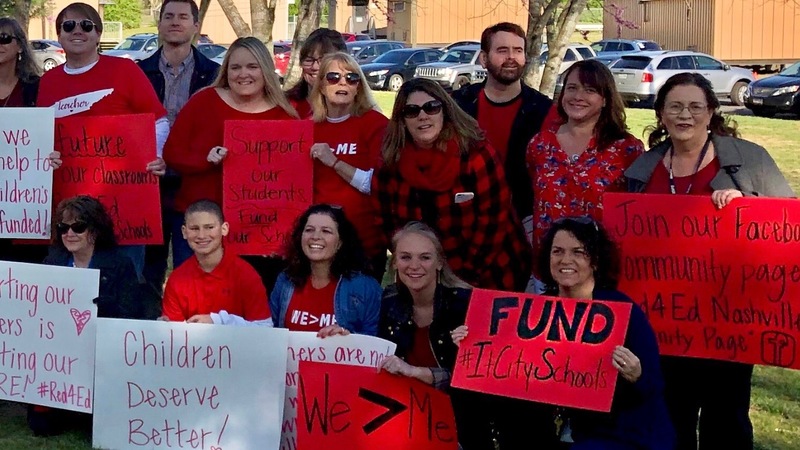 The action keeps rolling when it comes to education politics in Tennessee with no sign of things slowing down in the foreseeable future. Let’s get you caught up to date. It may not directly involve education, but it is a particularly nasty move, so I’ve got to call your attention to a particular piece of legislation. Winding their way through legislation are HB 1079 and SB 971, both are set to be heard in legislative committees in their respective chambers. What these bills do is require groups leading voter registration efforts to undergo training and potentially face fines for submitting too many incomplete forms. These bills come on the heels of increased efforts last year to register African-American voters, efforts that resulted in 91,000 new voters being added to the rolls. A commendable accomplishment. However, in this light, many are seeing the legislation as being retaliatory in nature. It seems less than coincidental that voter registration drives by civic groups have been done for years without incident, but on the heels of a massively successful campaign change is needed. Few issues with incorrect applications have been raised in the past, so why now? Critics of the legislation point to the registration forms themselves as a primary cause for the errors. For example, one question asks if the register has ever been convicted of a felony. If the applicant has completed their court-ordered reparations and had their record expunged, the applicant might understandably answer “no”. That would be a wrong answer. Considering who is being targeted by the voting drives, this an issue that could repeatedly come into play. That example is just one example of many that voter registration groups find with the bills. Democracy is dependent on participation by all members of society. The goal should always be to make registration easier, not more difficult. This one just plain smells bad. Monday, U.S Secretary of Education Betsy DeVos came to town. She was reportedly here for a meeting on education with Governor Lee. In that capacity, a round table with education “leaders” from around the state (pictured to the left) was held. The picture to the left shows just who was in attendance. Let’s Check in with our old friend irony again. One of the major arguments for ESA legislation has been around a need to really help kids in poverty use education to escape that cycle. Now take a glance at the aforementioned picture and tell me where the true representatives of those children are. Are you going to tell me that a room full of predominately white males has a true grasp of the needs of the families of kids of color and those who live in poverty? I’m curious if any of those pictured have even talked to a poor person this week, yet here they are proposing to know what’s best for those families. In case you haven’t guessed, what they are really doing is using poor kids, and kids of color and their families as a vehicle to drive their agenda. An agenda that centers around turning public education into a private enterprise. That should be alarming to everyone who cares about the principals our country was founded on. Of special note to Nashvillians, both Tara Scarlett and her father Joe Scarlett who oversee the Scarlett Foundation were included in the round table. Much is made of the financial resources that the Scarlett Foundation invests in MNPS. Conexion America’s Parents as Partners alone receives around a quarter of a million a year in funding from the foundation. 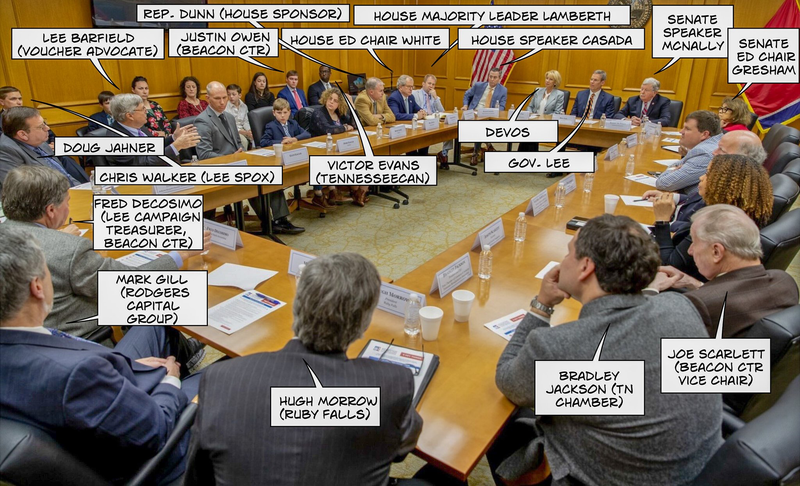 So it is not remiss for one to wonder what such investors in “public education” are doing at a table with people determined to dismantle public education. Embattled MNPS Director of Schools Shawn Joseph has oft mentioned Joe Scarlett as a de facto mentor. Which makes it not overly surprising that the Tennessean and the Nashville Business Community – a community that in the past has supported privatization efforts – have in response to Joseph’s imminent departure have launched a concentrated PR effort to paint Joseph’s tenure as being successful. It has not gone unnoticed that the Tennessean has printed an op-ed a day in support of Joseph from politicians and business leaders while relegating board member and former chair Anna Shepherd to the letters page. Today’s submission is by former Nashville Chamber Chair Darrell S Freeman. Freeman chastises the board for its lack of civility towards Dr. Joseph. A noble endeavor, but here are some things you may not know though, Freeman is a fraternity brother of both the husband of highly criticized HR executive Sharon Pertiller and Shawn Joseph. Freeman and Pertiller were pledge brothers. Kinda pertinent don’t ya think? It is also worth noting that Freeman resides in a mansion on Maryland Way. Which makes him a resident of Williamson County. it’s all just more evidence of the validity of the old adage; if you want to know the truth follow the money. On the local front, there were some interesting developments yesterday. The school board held a budget committee meeting yesterday and out of it emerged the good, the bad, and the ugly. First the good. The board has amended the budget they will present to Mayor David Briley on April 17th. The new budget will include a 10% raise for all MNPS employees and restore step increases for teachers. It will also include funding of $852,000 for so-called “Care Centers” to help with student behavioral needs and $850,000 to add professional development days for para-professionals. 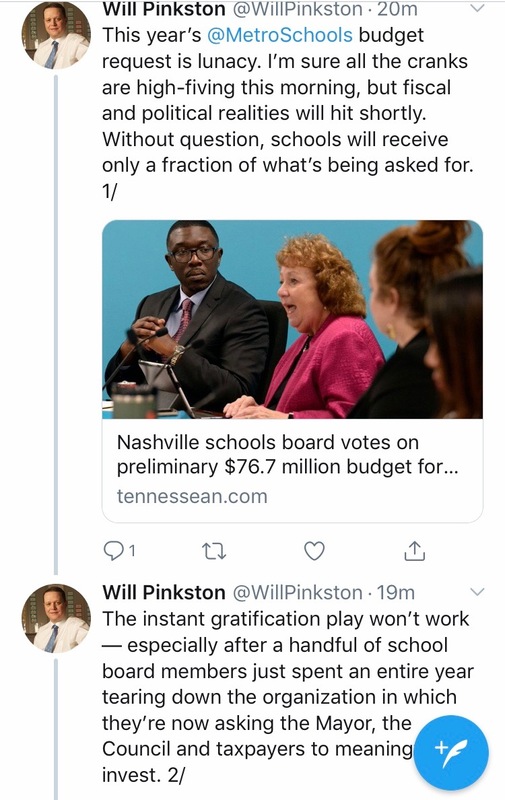 This is an extremely positive sign as it demonstrates that board members are actually listening to teachers and realizing that MNPS has a pending teacher attrition crisis that it is essential we address without delay. Addressing salary needs is just one step in addressing overall working conditions but it is a big one. “Educators have spoken, and they are asking us to ask for what we need,” said Board Vice Chair Christiane Buggs. The budget still has to get the full approval of the board next week, but 7 members have already voted for it in committee so the likelihood of it passing is high. The real challenge will come when the budget is presented to Briley and the council. Convincing them of the necessity of this budget ask is going to take a full on coordinated effort. 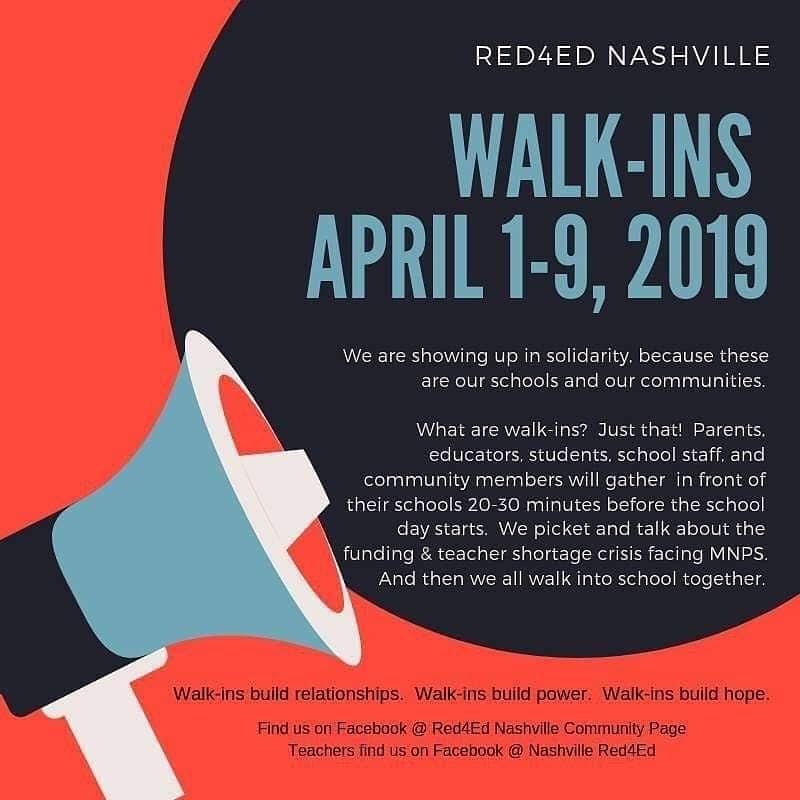 Teachers are already doing their part by staging several walk-ins across the district this week. 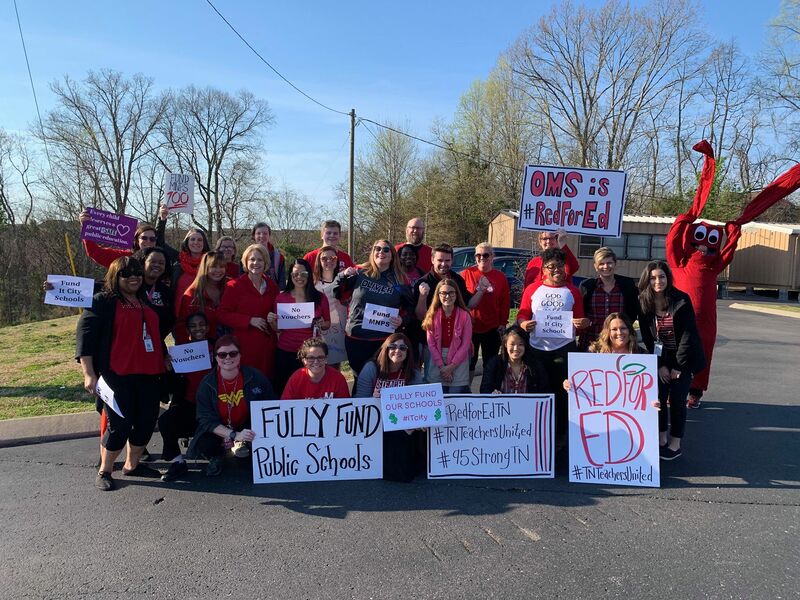 A walk-in means that teachers and community members are meeting outside of schools before class wearing red to signify Red4Ed and educating others about the need to fully fund our schools. Right before school starts they walk into the building in mass. All community members are invited to join. I expect there will be lots of opportunities to participate because the movement is only beginning to grow. Don’t let our teachers stand alone. Now for the bad, At the budget meeting board member Amy Frogge voiced a desire for the board to seek their own individual legal representation in the upcoming contract dissolution talks with director Joseph. As Joseph already has an independent council it’s a move that only makes sense. Furthermore, both board chair Sharon Gentry and MNPS legal council Cory Harkey played extensive roles in the crafting of Joseph’s contract, one that is tilted more in his favor than the districts. Frogge recommended an attorney based on an informal survey of those with knowledge of local attorneys, Samuel Jackson. Jackson has experience in this realm of law having negotiated the dissolution of a couple of recent superintendent contracts with Tennessee school districts. There was some push back on the idea and it was unclear whether the push back was over this attorney or whether to hire an attorney period. Either reason kind of baffles me. As in any negotiation, party one has their attorney and party two retains theirs. Both fight for the best interests of their client. Using an attorney that was deeply invested in the initial contract can only serve to put the board at a disadvantage. 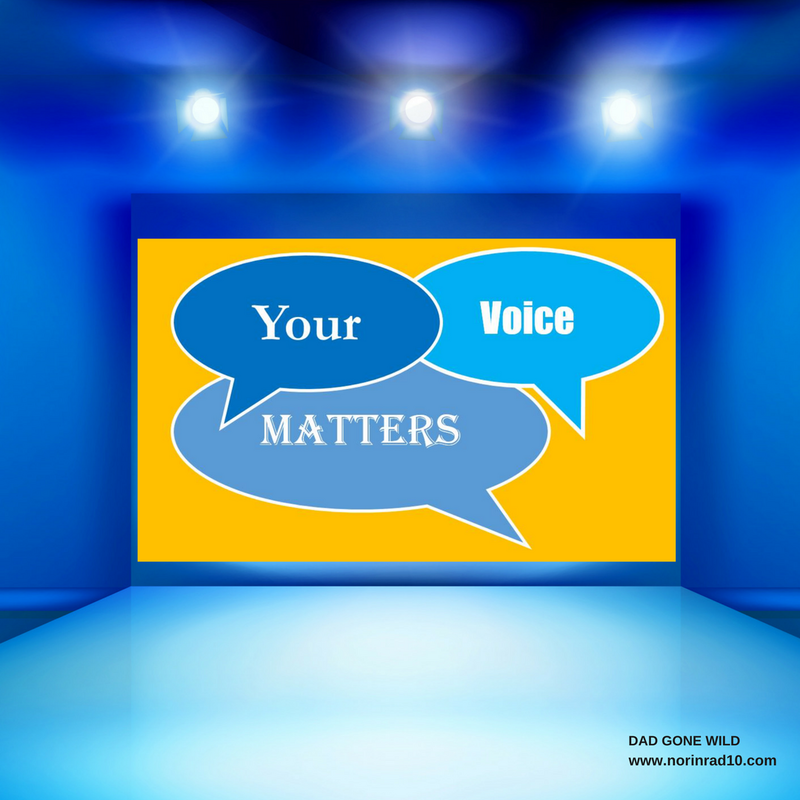 Relationships with individual board members are immaterial because the attorney is representing the board as a whole and there are no potential individual benefits. The pay is out is not a predetermined amount and every effort should be made to make it as little as possible because as board member Fran Bush stated, it is taxpayer money. And now the ugly. Newly appointed HR Chief Tony Major’s presented to the budget committee and in his presentation Majors argued for the restoration of three HR positions that had been previously cut by the board. Majors was adamant that the positions were critical despite a recent Bone, McAllester, Norton Audit saying the opposite and having been instructed by the board at a recent retreat to identify positions that could be repurposed. When questioned, Majors indicated that he had not read the Bone, McAllester, Norton, Audit.Nor had he identified positions that could be possibly repurposed. That makes the gist of Major’s argument such that he had ignored the board’s edict because after 3 weeks on the job, despite a lack of previous HR experience, he was capable of identifying critical positions despite not having read a recently conducted audit that despite still being privileged is readily available via a Google search. Get all of that? The first part of that argument is deeply troubling, as it a continuation of a trend established by soon to be departed, director Joseph. It is the continuation of a practice that has led to the deep rift between the board and the director. I understand Major’s passionately fighting for something he feels is necessary, but the board had made a direct request that should have been given priority over his own wishes. I’ve known Tony Majors for a long time and I have seen evidence that his leadership can produce results. He is no doubt the most qualified current member of the MNPS leadership to bring the HR department in line, but he is by no means heavily versed in HR policies and practices. And to bring our old friend irony back into the conversation, as the architect of the districts new discipline policy, he often counseled principals to “make-do” with what you are provided with, not get hung up on what you deem critical. Lastly, it is a huge suspension of disbelief to accept that as the new head of HR, Majors has not read the recently completed audit. I’m going to leave it at that, but that alone is a statement that is troubling for multi-faceted reasons, not the least being that he deems us all fools. I suggest he click on the link above. With that, the stage is set for next Tuesday. Next Tuesday the board will take up discussion of Shawn Joseph’s contract. I urge everyone to contact board members and offer your input. Also, let’s be kind to them, the amount of pressure being applied under these circumstances is unprecedented and at the end of the day every one of them is just a person. Conspicuously absent from the last couple board meetings is board member Will Pinkston. This is despite his resignation being rendered with an end date of April 12. It is hard to believe that Pinkston – who has repeatedly demonstrated his preference to the spotlight over the work – won’t resurface one last time to create chaos. If he does and behaves in a manner that indicates a scripted and coordinated approach to the director’s contract, will the mayor individually rebuke him? It should be noted that a director’s evaluation committee meeting had been scheduled for yesterday to finalize the director’s evaluation. That meeting was canceled. That means that next week’s board conversation will take place sans a completed director’s evaluation. We are getting along further in the healing, but like a child who continually prematurely rips the scab off a wound, the district is repeatedly being put at risk for deeper infection. One more time, I’m going to ask that all vested parties put more emphasis on what the future looks like as opposed to what Dr. Joseph’s future departure looks like. Let’s keep our eye on what is important. I wonder if Sam Braden was in the same fraternity as Joseph. What about the odd resolution that Glover had wanted the Council to vote on about the Board.. it was tabled due to Glover pulling a Pinkston. Interesting or not given this city. The Scarletts are wolves in sheep clothes.